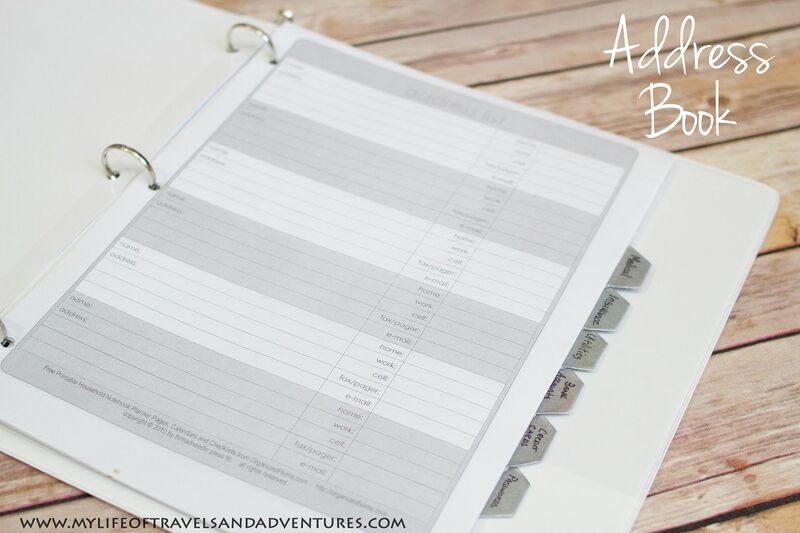 Way back in the spring, I shared my blog planner with you all. Several months later and I am still loving it. I use it pretty much for everything blogging related and love that I can add to it (or remove) as needed. Well around the same time, I made a Home Binder and sort of used it. Then we moved and it sat on my desk for a while before I got around to updating it. 1. 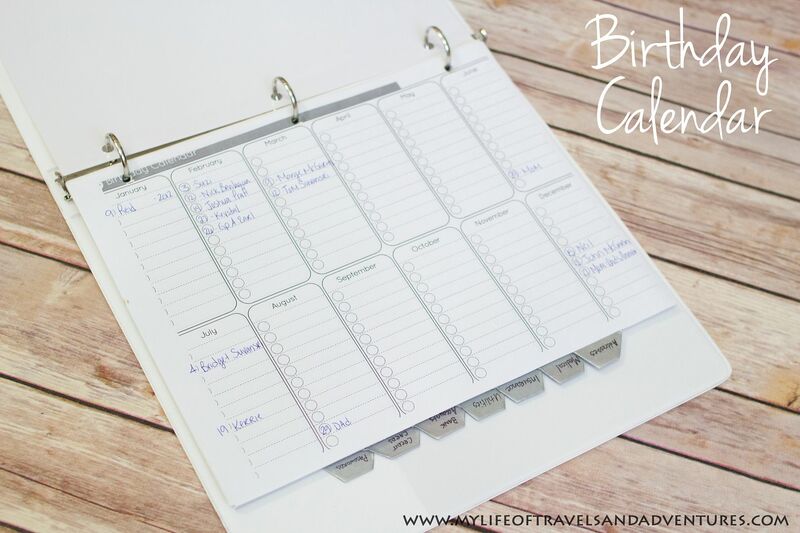 Birthday Calendar from The Project Girl. I love that this calendar fits all on one page and is completely blank. I have been slowly adding birthdays to it as I remember them. 2. Address Book from Organized Home. My 10+ year old address book has seen its better days. I have crossed out and changed addresses for people so many times in that little book that it is hard to tell which one is the current address. So these printables are great, in that I can just print a new page when there are too many cross offs on one. 3. Medical Information from Organizing Homelife. 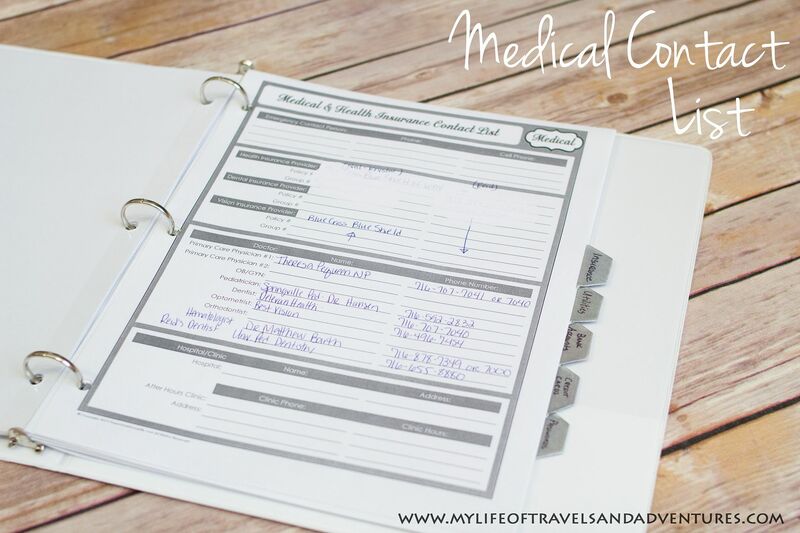 I just recently printed a new medical contact list and started filling it in with all our new doctors since we moved again. 4. 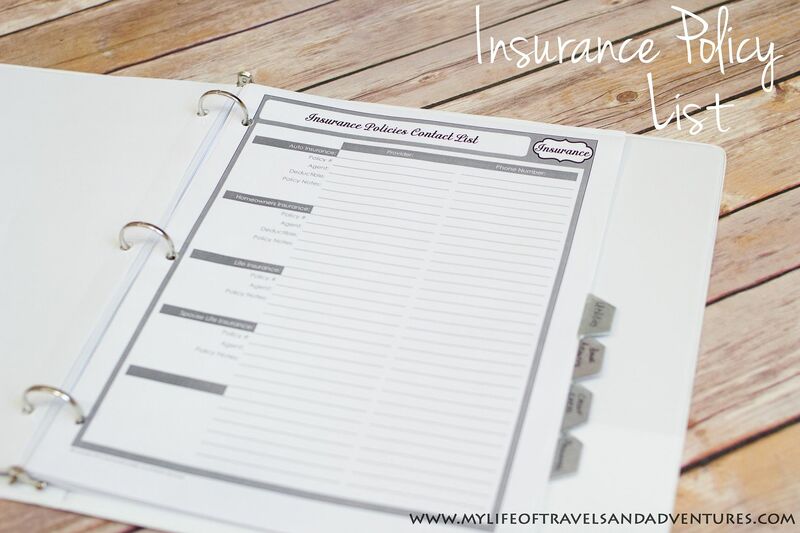 Insurance Information from Organizing Homelife. I can't tell you how many times I have referred to this little piece of paper in the last couple months. Since I have been calling insurance companies way too often (and can never find my wallet/insurance cards) this has been a lifesaver. 5. 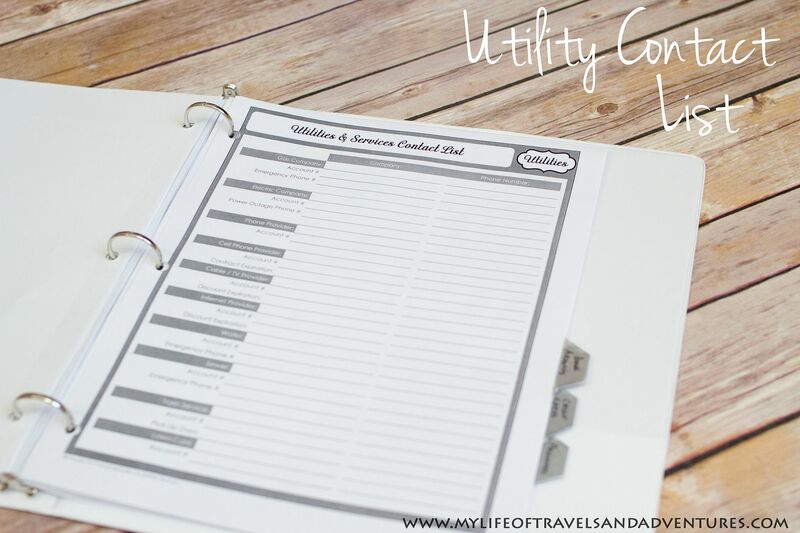 Utility Contacts from Organizing Homelife. When we moved earlier this summer, I just went down this list and notified the different utility companies. So much easier than digging through the filing cabinet for the old bills. 6. 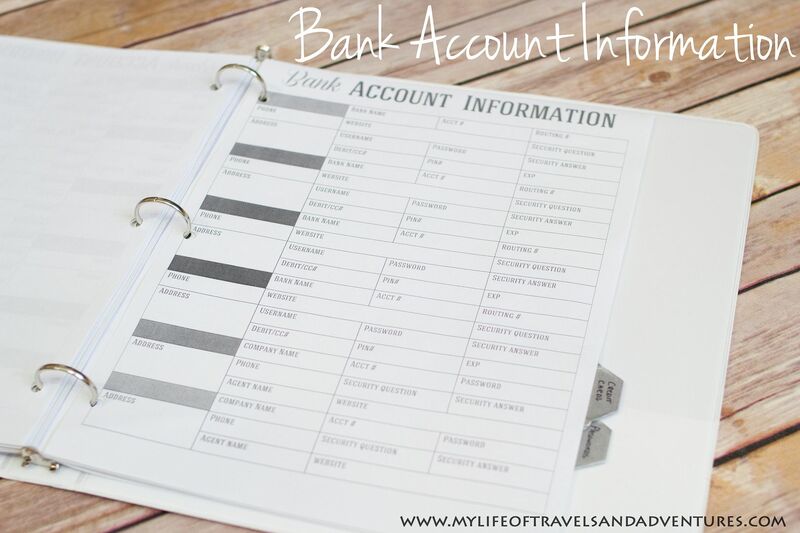 Bank Account Information - Unfortunately, I am not sure where this printable is from. 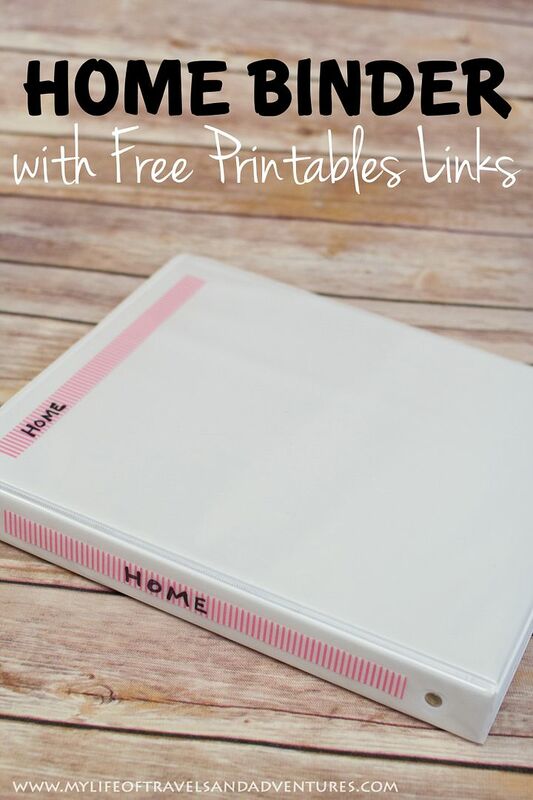 I am writing this post 6 months after making our home binder and this printable doesn't have a source on it. Sorry. 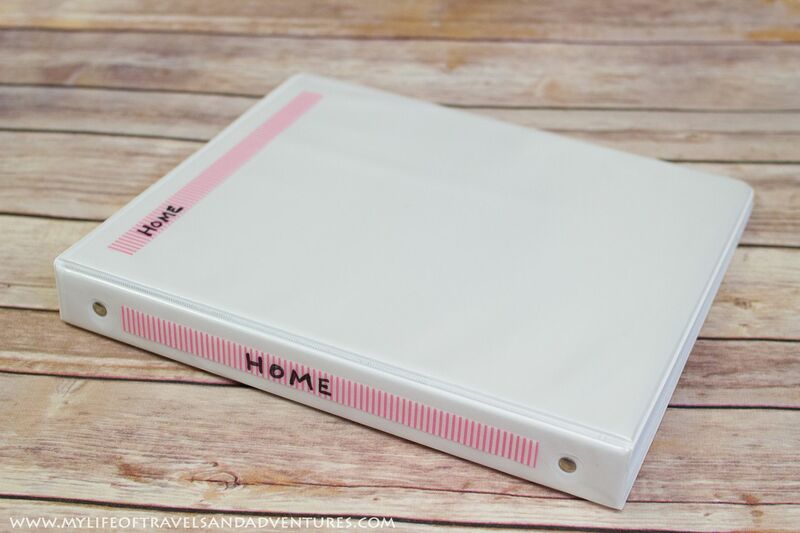 I did find a similar one from DIY Home Sweet Home though. 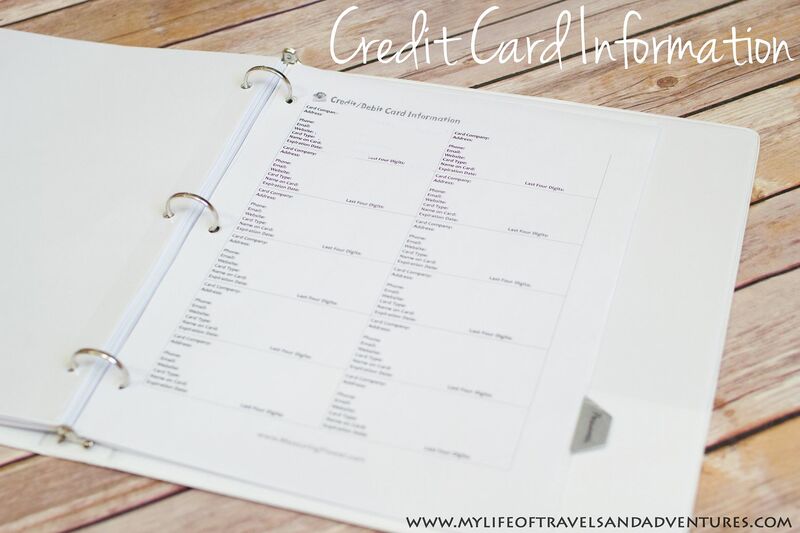 7. Credit Card Information from Measuring Flower. 8. 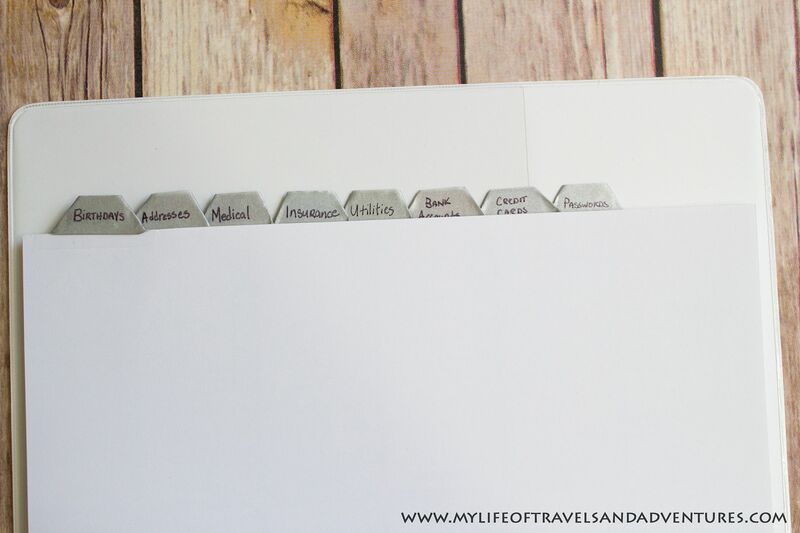 Password List - For this I just use a sheet of lined loose leaf paper to write websites and passwords. But Measuring Flower has a nice printable one too. So there you have it. Something handy to have around, simple to make and pretty to look at.